After taking two months off work I am now back at my desk and clinic. I have enjoyed looking after the vegetable patch and tasting the delightful fresh greens (and reds in the tomatoes). There’s nothing quite like your first plate of home grown food which is why I have photographed it to show off! 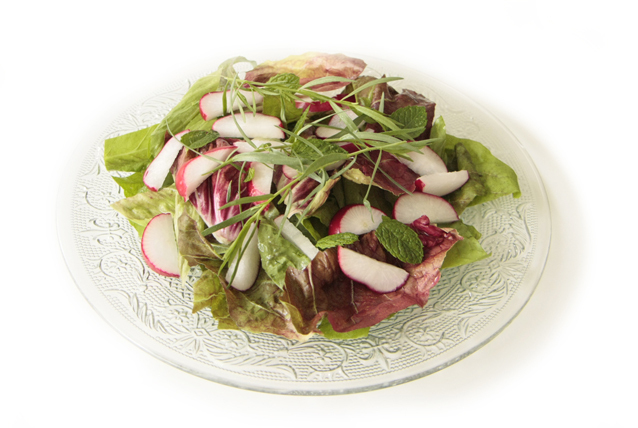 This salad was Radicchio leaves, lettuce leaves, radishes, mint and tarragon. The radishes were huge and I only needed one for this salad. 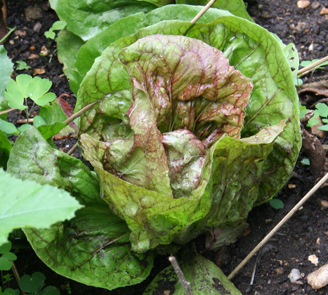 The radicchio leaves were a delicious bitter flavour mixed with the sweet young lettuce leaves. Radicchio (Chicory family) – Fat free, saturated fat free, cholesterol free, very low in sodium, an excellent source of vitamin K, a good source of vitamin C, folate and copper. Radicchio is a bitter food and therefore supports the liver in the detoxification process. 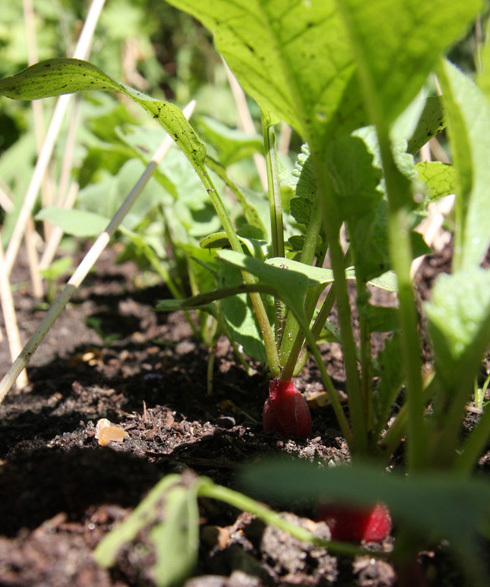 Radish – excellent source of vitamin C (leaves have even higher content of Vit C) Good source of copper and potassium. Very low in calories. It is a member of the cruciferous family (cabbage, broccoli etc) and so shares the cancer protective qualities. They also liver supportive as they contain sulphur compounds which help increase the flow of bile from the liver, which improves digestion and detoxification. 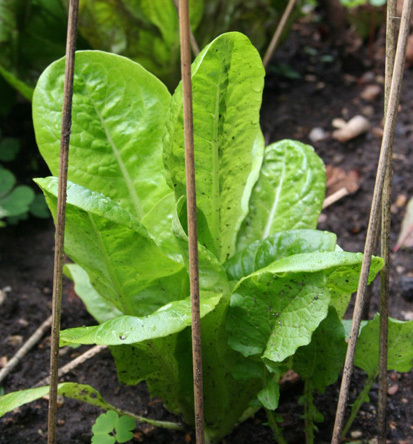 Lettuce –Good source of chlorophyll and Vitamin K, Vitamin A, folic acid. Vitamin C, Vitamin B1 and B2. 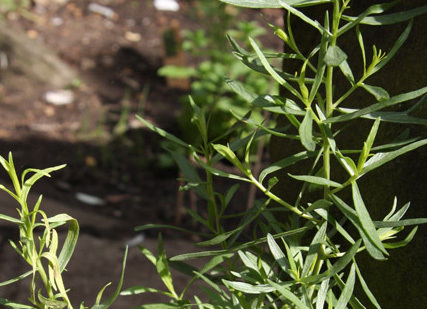 Tarragon – Fantastic tasting herb that contains compounds that are antifungal which is protective of the gut, it has a high content of antioxidants. This herb has a positive effect on blood sugar levels and can be supportive in diabetes and those that suffer with tiredness from fluctuating blood sugar levels. 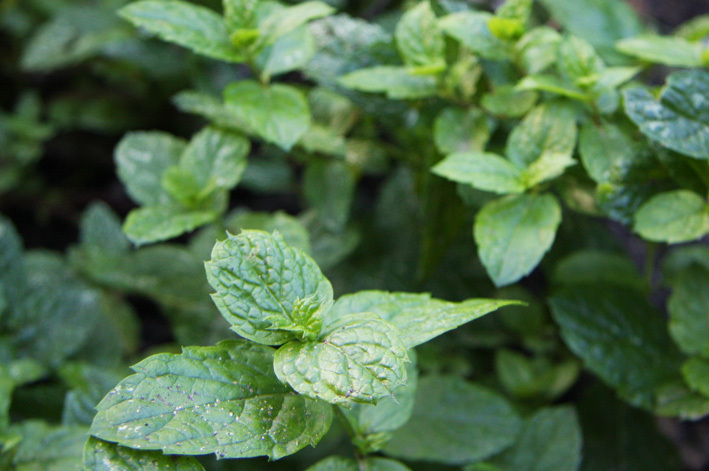 Mint – This herb is very helpful to digestion, it is a carminative meaning that it helps to relieve painful spasms and disperses trapped air. It also contains powerful antioxidants that help protect against allergies like hay fever. So there you are my plate of home grown salad is a plate of food medicine. Best of all it was delicious – fresh young and very tasty, it looked very pretty too. You can still make this yourself, as all the ingredients are available in the shops – but maybe next year you might grow it yourself?